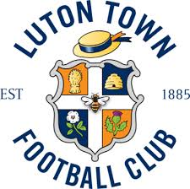 Luton’s very own football club was formed in 1885 and is based in Kenilworth Road. Known as The Hatters, Luton Town FC’s ground has a capacity in excess of 10,000. The Eric Morecambe Club opens its doors for Specs Comedy. Specs is the new place to be in Luton on a Friday night with some of the finest professional comedians from the UK comedy circuit. With two shows down and more booked, Specs has proved to be a real hit in Luton already. LTFC also have an under 18's squad, football academy, work closely with a Youth Development Programme and run activities after school and during the school holidays for those interested in football training. Visit the website or contact the club directly for more information.